A Camp Wokanda Easter egg hunt is going to the dogs this year. 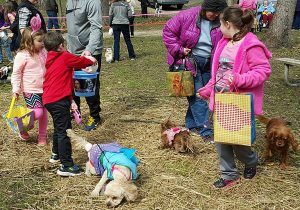 The Peoria Park District-owned camp, located at 620 E. Boy Scout Road in Chillicothe, is inviting humans and dogs of all sizes to its fourth annual Doggie Easter Egg Hunt from 1 to 3 Saturday, March 31. “Because we’re one of the few parks that allows dogs here, this was kind of a natural offshoot. It’s just hilariously fun,” said Camp Wokanda program director Cathy Lane. The event is also a fundraiser, with a portion of the proceeds going to the Stray Animal Midway Shelter (SAMS) in Hanna City. The event is drop-in with no pre-registration required and costs $5 per dog and $2 per human. “We had a good amount of people and dogs the first year, but it has grown a lot. We easily had a couple hundred humans and maybe a hundred dogs last year and we were almost overwhelmed, so we’re refiguring our registration process so people don’t get held up on the way in,” Lane said. In separate egg hunts for small and large breeds, the dogs and their owners look for papier-mache eggs filled with dog biscuits and other treats that are scattered in a large field. “We can’t use plastic eggs because the dogs could choke on them,” Lane said. About 25 Bradley University students spent last weekend at the camp making the papier-mache eggs, which Lane likened to small piñatas. “We make hundreds of them, and the dogs can basically just destroy the piñata on the ground to get to the treats,” Lane said. 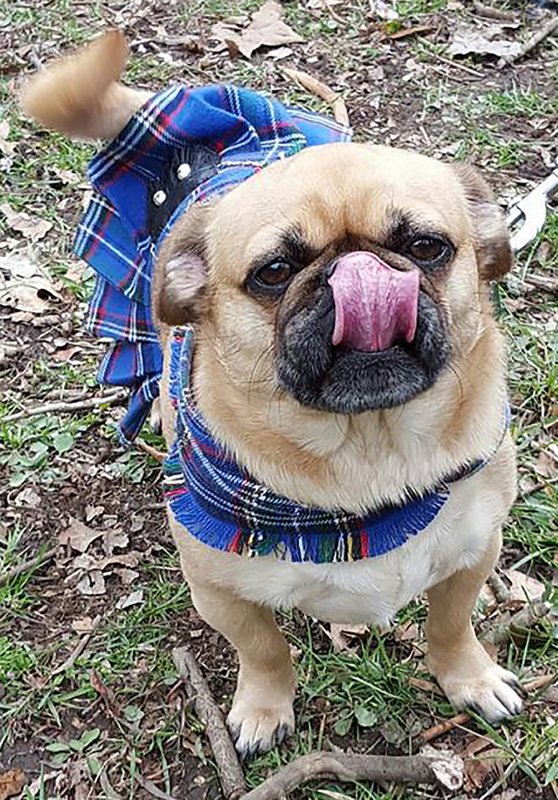 The family-friendly event will also feature a costume contest with prizes, games for the whole family, face-painting, doggie ice cream cones, bacon bubbles for dogs to chase and a kissing booth with dogs as the kissers. “Their owners volunteered them for the kissing booth because they are great kissers/lickers,” Lane said. The dog owners will also have a chance to win gift basket door prizes that will include maple syrup made at Camp Wokanda. The syrup will be sold for the first time at this year’s annual Maple Syrup Workshop and Pancake Breakfast on April 21. Lane has about 20 volunteers lined up to help at the egg hunt but would welcome more help at this event or other Camp Wokanda activities. The camp is also developing a trail monitor program in which volunteers hiking the trails would report any hazards or anything that needs attention. The camp features four cabins that sleep 12 and four that sleep 20, as well as a lodge and dining hall that can be rented. The camp trails are open to the public at no cost. The camp also hosts events such as weddings and reenactments. 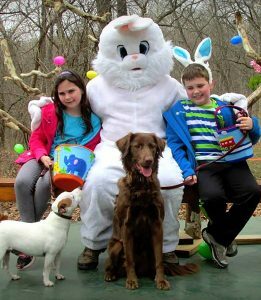 For more information about Camp Wokanda or the Doggie Easter Egg Hunt, call Lane at (309) 579-2157 or email her at clane@peoriaparks.org. The hunt will be moved indoors if inclement weather strikes.